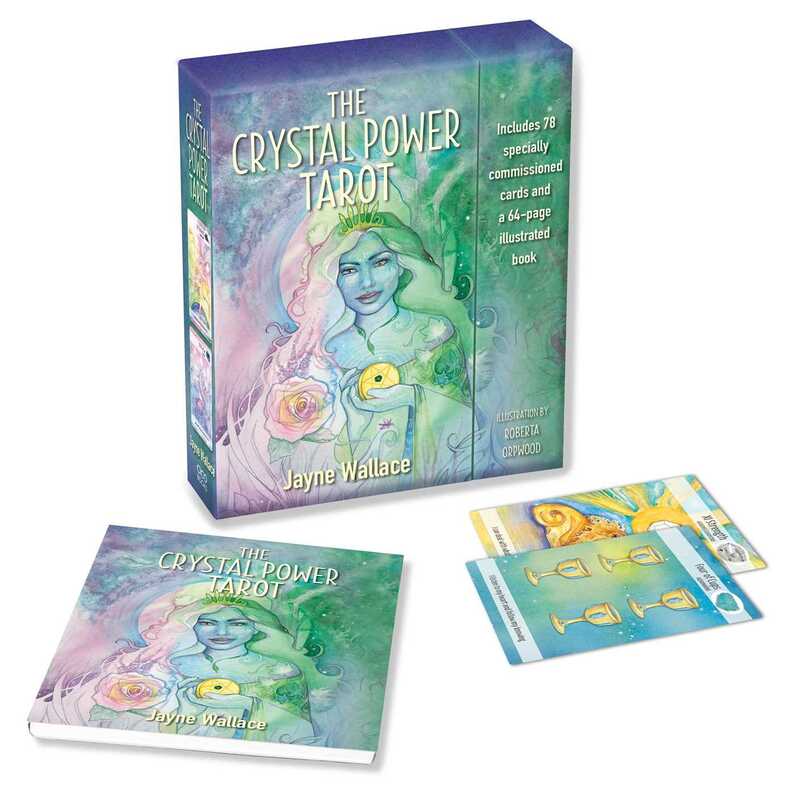 For many centuries, both tarot cards and crystals have been used as powerful divination techniques—and they come together in The Crystal Power Tarot. Featuring more than thirty stunning stones throughout the deck, every tarot card depicts a lavish artist-commissioned tarot image. The book provides interpretations for all the cards, plus the properties of their crystals and five spreads to try—from a simple card of the day to a seven-card chakra spread for healing. Each card also includes an empowerment affirmation, which provides a way for you to declare your intention and connect with the card’s crystal, thus taking action to influence your future and make your dreams a reality. From relationship advice to career guidance, this unique crystal tarot illuminates what’s important to you now, and gives you the means to make your wishes come true.